The ports were worth the whole cruise. Very happy we went! The schedule itinerary of the cruise resulted in five sea days. A better routing could have eliminated 1-2 of them. Princess needs to audit the excursions they are offering and make sure the product description on their website is accurate and complete. We loved the cruise, the formal dining room food and staff and our amazing room steward, Michael deserves a raise! He was outstanding! The cruise gives you a great overview of New Zealand, but my husband and I should have done a land tour to give us more time to see New Zealand. So much more to see, but you are limited on time when you are cruising. Also, do NOT book your tours directly with Princess. They overcharge for their tours. We purchased out tours with and wth Viator. Note: Make sure your allow time to get back to the ship in time. i do not believe Princess had adequately catered for 3500 Australian passengers. Specific beers, wines were frequently unavailable and inadequate seating in the Crown Grill bar. Frustratingly, one of the four elevators forward was out of action for the whole 22 day voyage, citing unable to get parts, despite stopping at sophisticated cities such as Shanghai, Hong Kong and Singapore. Numerous times elevators would bypass our deck, particularly when the Princess Theatre was being used. A very interesting combination of ports. We had never been to 5 of them. A great preview for another trip. Ship was extremely smooth sailing. We had high winds one night and barely felt a twitch. OVerall good experience. The most negative was the public restroom situations with clogged public ladies toilets all the time. I have also witnessed the custom of spitting asian passenger on the carpet. Praise for the ship physician whom I had to visit, unfortunately. We loved this new ship and is design. The ports of call were great and the tour guides were knowledgeable. Our main dining room and waiters were the best of our previous 13 cruises. 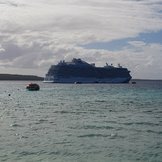 Our only problem was that our United cruise agent was provided false information by Princess cruises sales and we then ended up with a 293 person lifeboat with a two foot tower for the crew driver to see out of directly in front of our balcony door. This was a total shock and totally unacceptable. Majestic Princess guest services didn't seem to care as it was a princess cruises sales problem. No alternative room became available during this 28 day cruise even thou many individuals got off at the different port visited and Princess cruises did not even have the courtesy to advise us that they were sorry that nothing became available. Although this cruise now gives us Platinum states I am not sure we can feel comfortable using Princess again. for a new big ship the boat was new and big but most of the staff was unfriendly and rude some time! specially the guest service and the waitress in the breakfast restaurant and it will take very long to get your food, several time people just leave because they have excursion to go to. We often felt like we were bothering them, I was expecting nice smily staff. Except in the dinner our two waiters (Cristina felongco and Novak iric ) and ( Ronald Regondola) the Head Waiter was very nice they know what we want specially I do have savers allergy to sea food they did work with me to make me happy they smile and laugh very pleasure people. About the activity and entertainment i the ship very poor. This ship is brand new and we thought that there may be a few glitches they were working out. On the contrary it was all perfect. Great mix of very attentive crew from different Princess ships so lots of interesting stories, nationalities and perspectives. Loved the outdoor movie theater. After dinner settle on a deck chair with a blanket provide and watch the latest movies. The last night they previewed a new show in the theater which was beyond spectacular. Food was outstanding no matter where you ate. Only complaint was the tendering process, they need to find a more equitable process. Those who had booked a tour through the cruise line had preference and the rest of the passengers (about 1,500 of us) had to wait for well over an hour, sometimes two, in the dining room for a tender. There were a lot of complaints so I am sure they are working on it. My favorite stops: Kotor, the cruise out was spectacular and the city itself very unusual and interesting. Mykonos, was the all out favorite stop. Take taxi to one of the beaches for $15 and spend the day on a lounger, right on the beach as long as you buy something to eat or drink it is free. Food and drinks are very reasonable so it is a good deal. Could have done with more beach locations and less historic towns and ruins. Most of the islands have a beach option, take that if archaeology is not your main interest. No matter what small hassles there may have been they pail into insignificance given the overall experience, it still get 5 stars for me. Most favorite part of this cruise was visiting several Greek Islands. It was a brand new ship. Beautiful & Impressive. Clean & Bright. Crew on this ship were not as well trained as other Princess Ships. Enrichment Lectures onboard, on varied subjects. This ship had None. The Captain's daily announcements were very clear & informative. in the Computer room. Every other Princess I have been on had many Desk Top terminals. This ship had only 2. Last day's production Show - Excellent. Favorite part of the cruise was being on a traveling hotel room. The convenience of waking up at different destinations was awesome. The ship was very nice and impressive, being on the newest ship in the world was pretty cool. The destinations were amazing and we had a great time while spending time in port. But overall I'd say we were disappointed with our experience. I don't know if it was because we had high expectations and it was our first cruise, but customer service was definitely lacking. We heard over and over that Princess was there "for your every need" , "staff available at anytime", and "we treat you like royalty". We did not find that. Since it was our first cruise,we were expecting to be greeted by staff upon boarding to be explained how everything worked;food/drink options, timing,lay of ship, overall advice and recommendations.We never were. Also we were never given an option of where and what day or time our free specialty dining could be reserved, it was made for us the day we embarked. We also were suppose to have a special anniversary dinner on our Day at sea that our travel agent booked for us, and they had no record of it and staff were not helpful in figuring it out- a simple "you do not have a specialty dinner available" was the answer. When we approached the front desk with questions and concerns, we did not find them to be "meeting our every need", they actually weren't very helpful or upbeat, and we never got a clear answer. We often felt like we were bothering staff with our lack of cruise experience. The times we did witness staff being overly friendly and talkative, it was them saying "open your wallets", " spend that money" , "youre on vacation" . Every day we heard staff on a microphone telling us to spend more money on the ship....and we probably would have if customer service was more helpful and attentive that it was our first cruise. Dining was also confusing for us because we were never explained our personal options. Again, this was our first cruise ever so we didn't know. Two different staff told us we could call ahead for a reservation -"even request a table by the window" since we were Anytime Dining. "Just call the dining line,you can even ask what the menu is for the next day". Well we called and inquired about a reservation twice and were told we weren't allowed. And when we called asking about the menu, they did not know. Dinners in the dining rooms were very lengthy. We were given a buzzer upon entry, waited at least 10 minutes for a table, 45 minutes at the most. Then the time between courses was very drawn out,averaging 20 minutes between. Once we waited 40 minutes for our entree plates to be cleared and to be given the dessert menu. Excursions: we were advised to book as many excursions through Princess as possible since they were so "amazing".We booked 3 and were happy with 2. The Mykonos beach excursion was very disappointing and we're unsure what we paid for... which seemed to be an $80, 5 minute bus ride to an expensive beach where we were required to buy a $20 drink to use a sunbed and servers were rude. The excursion seemed to explain we were going to 2 famous beaches, with reserved sunbeds, and a guided tour and setup.Our guide never even "guided" us on the bus or provided information on the island. Though he was kind and helpful before the excursion ended when I asked if there was another beach my husband and I could find. Little did we know we could have walked to many comparable beaches, for free, and experience more beautiful scenery and attractions along the way. We regretted not doing Mykonos on our own. Overall we expected better. We would plan to cruise again with our family for the convenience of traveling to multiple destinations, but not with Princess. The boat is sparkling new, but so is the staff. We spent a portion of every single cruise day at the guest services desk ironing out problems with billing and service issues. Recently cruised on Majestic for the first time. 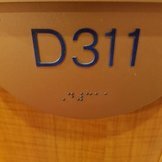 ( many other Princess Cruises) Food and service wonderful however, the ship is too big for us as can’t walk around the Promenade deck ( this is important to us) . Also many Australians. 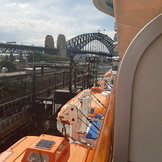 Cruising from Sydney to Hong Kong and the cruise was not Australian orientated and the activities on board ( sea days) were limited to mainly trivia and Bingo and line dancing and a scattering of other activities that were often full. The lecturers were very ordinary. The atrium most evenings had ballroom dancing except one night we had a DJ with beetles music for an hour and the dance floor was full 😊 Watch out also for the ship bus transfers not always needed like they say and sometimes taxis ( or just walking ) are a better option .